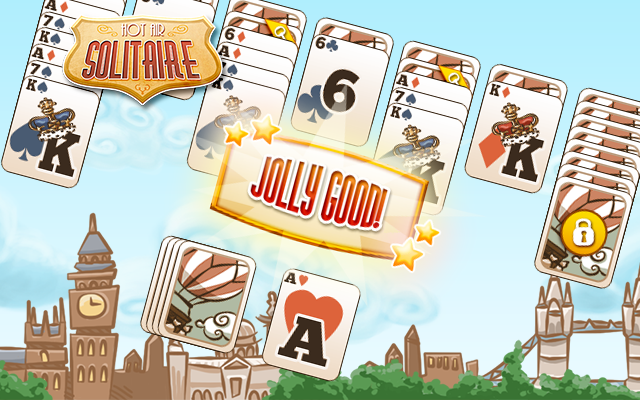 Play Hot air Solitaire at Gembly - Excitingly fun! 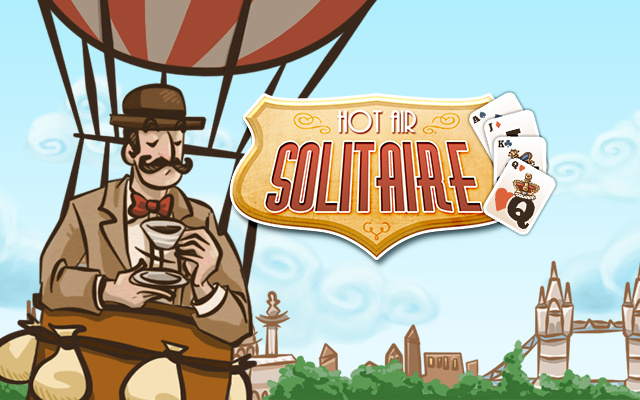 HOT AIR SOLITAIRE TAKES YOU HIGHER! Combine the card next to the stack with the cards on the field and make the longest possible chain! Combinations can be 1 higher or lower. Unlock the closed row by getting rid of cards with a yellow ribbon. No combination possible? Click the stack for a new card. Joker cards combine with every other card. The longer your chain, the higher your combo meter will rise and the more points you will receive! 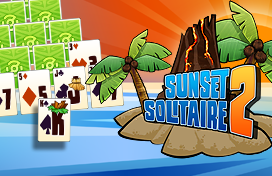 Hot Air Solitaire is a version of solitaire that is based on the well-known golf solitaire. 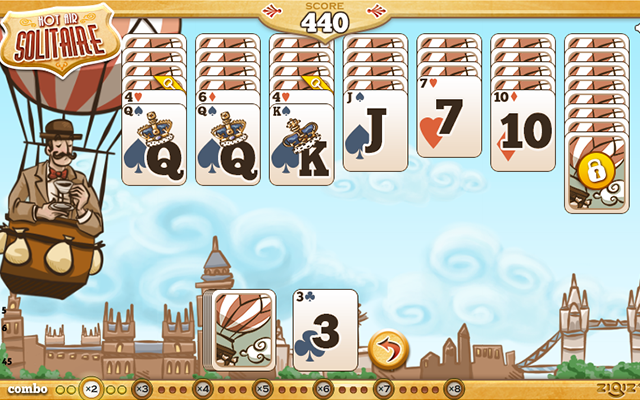 You will have to clear the cards on the playing field by combining the card next to the stack with cards that are 1 higher or 1 lower in value: for example, the Ace will combine with the 2 as well as the King. The longer your chain of cards, the more your combo meter will rise and the more points you will receive. You can open up the closed stack of cards by clearing the cards with the yellow ribbons. You can undo a mistake once by clicking on the button next to the stack. There are two jokers in the game, these combine with every other card. You begin with 50 cards on the stack and 56 cards on the playing field. Every card that you clear is worth 20 points. 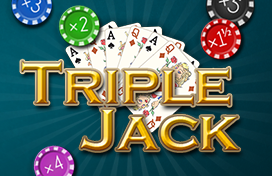 When you make a chain of cards you can build up to the 2x combo, which means you will receive 2 times as many points when you clear a card, and up to the 3x combo, where you will receive 3 times as many points, etcetera. If you clear 27 cards in a row, then you will receive 8 times as many points. Please note: if you have made a mistake that ended your chain and you undo that move, your chain will still end. When you have cleared an entire column of cards you will receive 40 points. 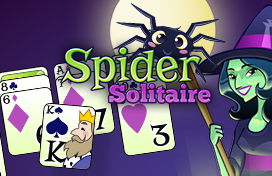 If you still have cards in your stack when you have cleared the entire field, you will receive bonus points!